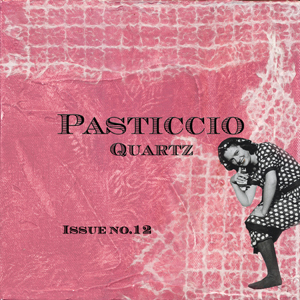 Issue number 12 of PASTICCIO QUARTZ has arrived. Sarah Fishburn and Angela Cartwright are the writers, artists, and masterminds behind this QUality ART Zine. I have always said that this publication is more than a zine and the current issue is no exception. Between the covers you will find 60-pages packed with artistic inspiration. This issue features an interview with artist Amanda Marie Ploegsma, an article featuring ceramic artist Laurie Beth Zuckerman, and a workshop project by Suzi Blu. There are book recommendations and reviews, website recommendations, apps for artists, quotes, wordplay, recipes, and of course the Palais d'Art section which highlights the original artwork of more than 15 artists. And there seems to be endless tidbits of cool information sprinkled throughout, including info about eco-friendly products, chalkboard paint, Japanese cloth wrapping, and so much more. And a big thank you is due to Sarah and Angela for also including a feature about Winds of Change, a collaborative project and self-published book that I completed with Roxanne Evans Stout from River Garden Studio. You can purchase all 12 issues of Pasticcio here. Celebrate the Fifth on the Fourth! Celebrate the fifth on the weekend of the fourth. The fifth edition of The Pulse that is! The newest version of The Pulse, an online survey in words and pictures of over 125 artists, starts out with a bang this coming Fourth of July weekend. 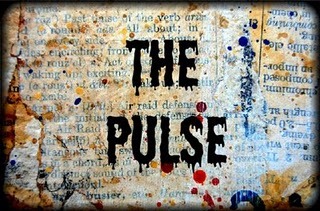 The Pulse is a collaborative project that has been part of The Altered Page since January 2008. 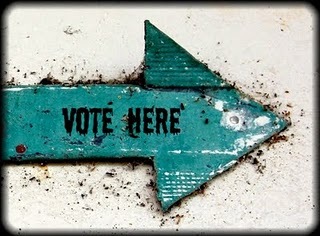 Its purpose is to "tap into the pulse" of the mixed-media arts community and share with you the "state of the art." This project will introduce you to new artists, help you get to know familiar faces even more, and provide a window into the creative hearts and minds of the talented pool of artists working today. For three consecutive days beginning Saturday July 2nd, and every Sunday thereafter, The Altered Page will be presenting the results of this year's artist survey as a series of mini projects. The opening weekend will also include a giveaway of a copy of The Pulse: The Zine, which is now out of print and no longer available. Can't wait till the 3rd? You can read the posts from all four previous editions of The Pulse by clicking on the links always available on my sidebar. Looking forward to seeing you all this weekend! I have always been intrigued by the concept of the Exquisite Corpse. The name itself fascinates me but the actual process of creating one is even more exciting. It began in the early 20th century as a writing game but was later popularized as a drawing game. Three people were given one sheet of paper. The first person drew the head of a figure and folded the paper so that only the very bottom portion of the neck was visible. Using this as a starting point, the second person drew the figure's torso. The paper was again folded so that only the very bottom of the waist was visible and the third person drew the legs and feet of the figure. The artists were all blind to the work of the others. The drawing is then unfolded. What is revealed is a discordant figure, with the individual parts often surprisingly connected by the collective unconscious of the participants. This year, the Exquisite Corpse Festival is taking this basic premise and applying it to a variety of media, including painting, printmaking, sculpture, photography, film, theater, dance, music, fashion, tattoo, cocktails, munny, clocks, and taxidermy. 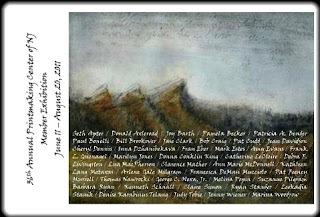 I am thrilled to be a participant in the event, which will take place in NYC later this year. The Festival opens July 9th with a presentation of the visual works and a musical performance. The event begins at 7:30 at Space on White in Tribeca. I would love to see you there! More information about the event can be found on their website here and will be posted on my blog soon. Earlier this month I posted an update regarding my collaboration with Bridgette Guerzon Mills and Jen Wordon. Our project began in early 2009 and is in the process of winding down. We each created a book structure that we would all work in, with the main idea of the collaboration being to challenge ourselves creatively. All three projects from the collaboration will be exhibited at the end of July as part of the Milwaukee Avenue Arts Festival in Chicago. Specific details about the exhibition will be posted soon. Alicia Caudle from Altered Bits has just unveiled her first print zine. 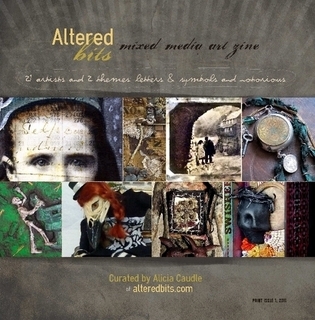 Called Altered Bits Mixed Media Art Zine, it is now available for purchase on Lulu, both as a book and (if you cannot wait) a digital download. You can also get it through Amazon . With 46 pages packed with mixed media art from 21 artists, this is sure to be a great addition to your art library. 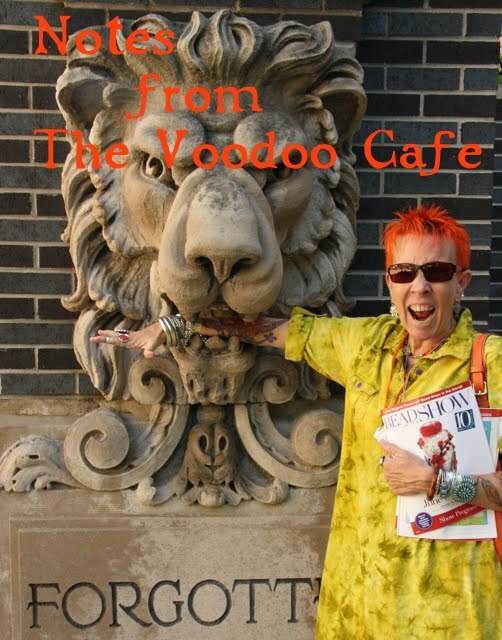 If you have seen Alicia's previous eZines, available here free of charge, then you know just how unique and special this book is. I am happy to say that one of my artworks is included in her zine. Thanks so much Alicia!! 'The Path' is available for purchase in my Etsy Shop. I am happy to announce that my handmade artist book, An Object Found, will be featured as part of the 36th Annual Printmaking Center of NJ Member Exhibition. The exhibition runs from June 11 to August 20. This book will also be exhibited at the New Jersey City University Gallery from September 15 to October 26. 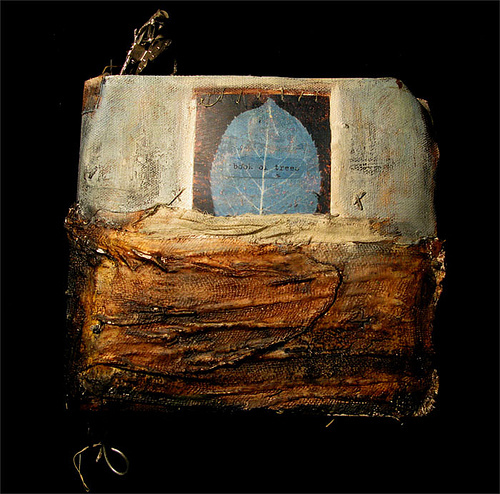 An Object Found was created for and featured in Pam Carriker's book Art at the Speed of Life . An image of the cover was included in her book but the inside pages are being shown for the first time. What is your creative vision for your blog? Visit Create Mixed Media to read the second post in my series Your Blog, Your Way and to see the first of your own responses to my ongoing artist survey. Think it. Do it. Be it. Three new survey questions are now on my sidebar. Head on over and have your say! If you are participating in the newest edition of The Pulse, please remember that your responses are due on June 12th, one week from today. If you are interested in participating but have not yet signed on, there is still time. Email me at shap97@gmail.com for information. 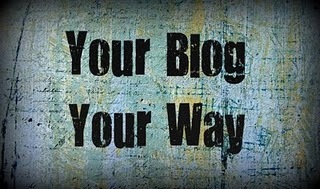 The next post in my new series Your Blog, Your Way goes live this Tuesday 6/7 at Create Mixed Media. If you haven't yet seen the first post (or done your homework), you can find it here. Sending out a thank you to kimalousartsyfinds for including Fides from my Making Waves series in her newest treasury Can't Stop Looking. Fides is available for purchase in my Etsy Shop. I designated yesterday as a book only day. No art making, no blogging, no chores. Thanks to everybody who commented about this on my Facebook Page. I really enjoyed the books I revisited from my collection. I read them cover to cover and managed to go through seven books -- a drop in my library bucket. I found the day both mellow and exhilarating at the same time and it reminded me of what I did so much of before the days of the Internet. I recommend this 'Day of Books' to all and will definitely be scheduling another soon. Acrylic Revolution by Nancy Reyner: Filled with an endless number of well-explained techniques for acrylic paint and acrylic mediums but a resource for so much more as well. The two page 'essential acrylic tips' section alone is worth the price of admission. Art Making, Collections & Obsessions by Lynne Perrella: What artist doesn't love to collect? And what could be better than page after page of collections, obsessions, studio shots, artwork, stories and quotes from 35 artists. Lynne Perrella knocked it out of the ballpark with this one. Artists' Journals & Sketchbooks by Lynne Perrella: The perfect blend of gallery photos and how-to advice. This book is one of my favorites and has a ton of post-its marking pages to return to. There is a lot of inspiration to be found here and it is a great source of imaginative ideas. Collaborative Art Journals and Shared Visions in Mixed Media by L.K. Ludwig: I am all about the collaboration and this book highlights an endless array of collaborations that have been done by mixed media artists. There are great visuals but also the collaborative process is broken down step by step. Art Making & Studio Spaces by Lynne Perrella: My third book by Lynne. Her books always tap into the most fascinating themes but more than that, she is simply a very talented writer. This book invites you into the studio spaces (and the heads) of 31 artists and makes you feel right at home. Kaleidoscope - Ideas + Projects to Spark Your Creativity by Suzanne Simanaitis: This book is filled with fascinating projects, how-tos, inspirational stories, strategies to become more confident as an artist, and much more. 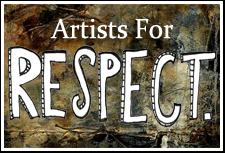 Over 30 artists have contributed and It is like an all you can eat buffet for art. Journal Revolution by Linda Woods and Karen Dinino: This book is part manifesto, part how-to, and part self-help manual. Follow along not only to learn how to journal your life but also how to free yourself from the inner critic and let lose in your journaling and artistic styles. If you press play, you will learn more about: the origin of my blog, my collaborative projects, my day job, why there are not more men in the mixed media community, how I initially became an artist, my foray into mail art, my passion for bookmaking, making travel journals, my upcoming book, living in New York City, my studio space, free must-see art happenings to see when visiting NYC, how to deal with the intimidation factor of art galleries, why making art expressively for publication is not always a great idea, my leap into Facebook and (soon) Twitter, why I haven't taught a workshop yet, where I see myself in 5 years, and my role in the upcoming Exquisite Corpse Festival in NYC. You can hear the entire podcast on Rice's blog, Notes from the Voodoo Lounge. Anybody who has followed this blog will know that I am usually involved in many collaborative art projects, all at the same time. Well, all good things come to an end and that is about to be the case for my collaboration with artists and friends Bridgette Guerzon Mills and Jen Worden. Back in 2009 we began this project, where the main idea was to challenge and experiment with our creative skills. I created a handbound, vintage paper book with the theme Contexture. Jen created a series of loose metal pages with the theme Shine. Bridgette created a book with plaster pages with the theme Book of Trees. We each now have our own projects back and are in the process of finishing them up. I plan to share each of the final projects on the blog and first up is Bridgette's Book of Trees. Bridgette's gorgeous cover was an enticing start and a great inspiration for my first attempt at working on plaster pages. Head on over to this post on Bridgette's blog, Contemplating the Moon, to see images from every page in her book and to read about her own personal experience with the collaboration. I thank Bridgette and Jen for their talent, friendship, patience, and inspiration throughout these 2 1/2 years. And the icing on an already very sweet cake: we are all very excited that all three projects will be part of an exhibition curated by Jane Michalski in July called Come Together as part of the Milwaukee Avenue Arts Festival in Chicago. Details to be posted soon.